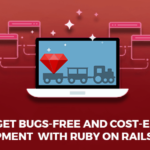 Nowadays all the functionalities in Rails are built as Ruby gems. For example we can use devise gem for the authentication part of the application. It’s like a package or library that is written in Ruby programming language. Moreover it can be imported and used by others in their programs. So in this we can see the basic gem structure. Under the lib folder, version file will be used to mention the version of the Gem. We can edit the version as per our convenience and release it that will be the version in Rubygems. We will consider testgem.gemspec, with testgem as the name of the gem that we will create for sample. It will be used to set up the gem on rubgems, for e.g., name of the gem, summary, description, files that are required in this project, test files that are used to testing the files in the project etc. Rake file: – This makes releasing the new versions of the gem, and also helps other developers to check the test cases if they are going to modify the particular gem. After the rake, we should create a test folder and test cases for each segments will be included here in the app directory. Planning to make a rubygem, then we need to analyse the requirements what to build up and what all functionalities should be included in that. While generating, we should create a sample.rb file inside lib folder and create own class with namespace because the other plugin has also the same classes then it will get conflict in the names. And require the sample.rb file in the testgem.rb file like reqiure “testgem/sample”. 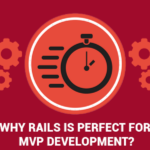 2) Better Errors / Rails Footnotes – Debugging tools for Rails/Rack apps. 3) Resque / Delayed Job / Sidekiq – Used for creating background jobs, placing them on multiple queues, and processing them later. 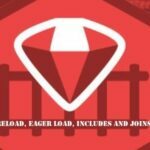 4) Cancan / Devise – Authorization / Authentication Gems for Ruby on Rails. 5) Letter Opener – Test your emails within the browser itself. 6) Discourse – Discussion Forum. 7) Carrierwave / Paperclip – Classy solutions for file uploads for Rails. 8) Whenever – Cron jobs (scheduled tasks) in Ruby. 9) Thin / Unicorn / Puma – Web servers. 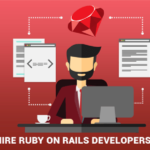 RailsCarma provide end to end Ruby on Rails Development services including, consulting, architecture, building, management and extension to companies around the globe. 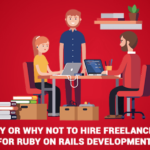 You can also hire Ruby on Rails developers with an easy to hire process. Contact us to know more.